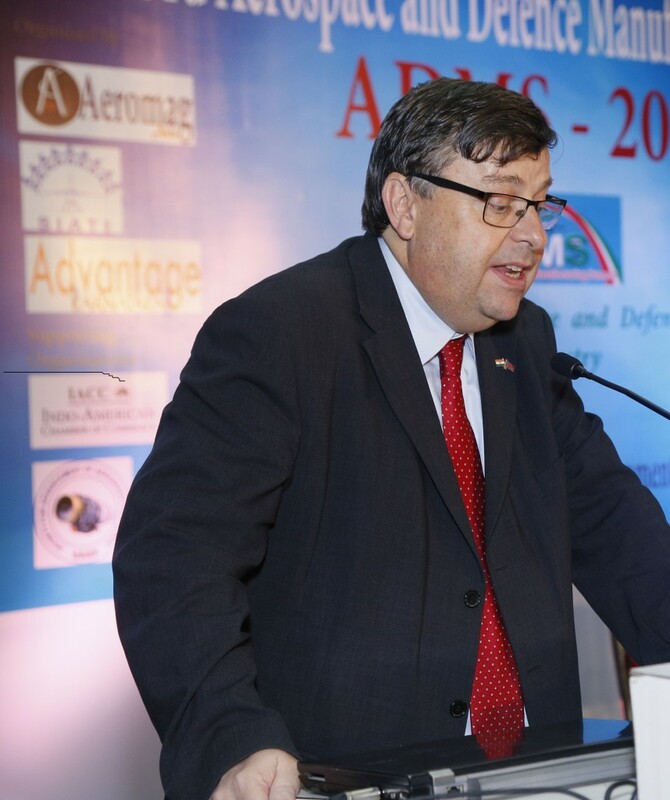 India needs to take a long hard look at why it drags its feet from making a final leap towards becoming an aeronautics powerhouse, said Dr. V.K. 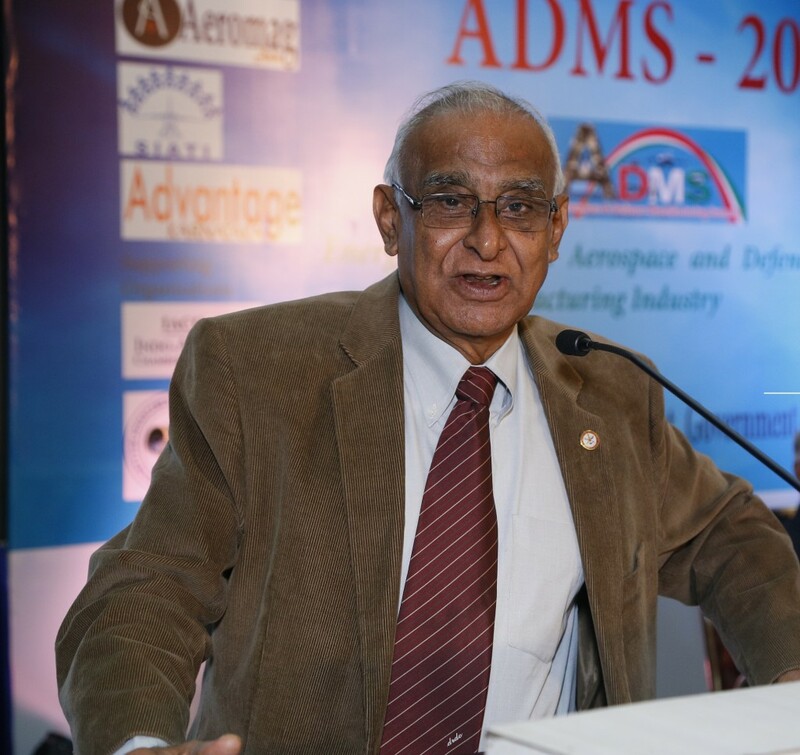 Aatre, former Scientific Adviser to Indian Defence Minister, Director General of Defence Research and Development Organisation (DRDO) and Secretary Defence Research, while addressing the inaugural session of the third edition of the Aerospace and Defence Manufacturing Show (ADMS), held recently in Bengaluru. We have to do lot more than what we have done to be called a country where Aeronautical technology is at the peak. We have to admit that India is not a powerhouse in most of the technologies, especially high-end technologies. There are several reasons for that. One of them is that our investment, both in terms of finance and manpower, is sub-critical. We put in enough seed money to start the technology, and we bring the technology to a certain level, but somehow don’t pursue it, further to become a powerhouse. Powerhouse doesn’t mean 100 per cent self-sufficient; no country is 100 per cent self-sufficient in technology, but it should become 100 per cent self-reliant in technology. While we have designed a few combat aircraft and helicopters, our civilian aircraft design programme is virtually stillborn. We haven’t brought out a commercially viable civilian aircraft of our own design yet. We have been talking about Regional Transport Aircraft for nearly a decade. We have come that close to starting a special purpose vehicle for the design of Regional Transport Aircraft, but for some reason we are still lagging behind. We hear about a new civil aviation policy. While civil aviation is growing, we still have a several hurdles. We sell approximately 65 million air tickets a year for a population of 1.2 billion; while a small island with a population of 5 million would sell 25 million flight tickets. US sells 700 million tickets for one third of its population. Many of our civil aircraft are still sent abroad for maintenance, repair and upgrading. We have started building excellent airports, like the ones in Bangalore, Delhi and Hyderabad, but for a country like India, the number of airports is very low; aerial connectivity to the various parts of India has to grow. For a country to develop high technology, first and foremost we must build outstanding academic institutions. That is the way technology gets seeded, that is where future technologies get planned, where future technologists get trained. We have to build the kind of academic institutions which can generate the symbiotic relations that can create something like the Silicon Valley. We should be more proud of our academic institutions rather than our R&D institutions. As India strives to become an economic power, primarily it has to become a knowledge power. The hub of this knowledge is science and technology. Because finally it is technology, especially science driven technology that produces wealth for a country. For this, the country must learn to do what I often call three ‘I’s - Invent, innovate and industrialise. Among various technologies, I consider aeronautical technology as the most important one as it virtually encompasses various technologies like material science, structures, electronics, guidance and navigation, automation, software engineering, etc. Recalling how the Light Combat Aircraft (LCA), Tejas, designed and developed by Aeronautical Development Agency (ADA) and produced by Hindustan Aeronautics Limited (HAL), which is being inducted into the 45 Squadron of the Indian Air Force, took off for the first time on January 4, 2001 for the Aero India Show, and the behind the scene drama and fierce argument that he had with Dr. Kota Harinarayana, the Programme Director (LCA) at ADA, and Air Marshal P. Rajkumar for the daring feat, Dr. Aatre hailed the success of the LCA, which has done over 3,200 hours of flight since without a single distress either in the sky or on the ground. The LCA is a unique achievement. One may argue that having flown it in January 2001 why did we need 15 years to be inducted into the Air Force; perhaps we could have reduced the time frame by about five years. 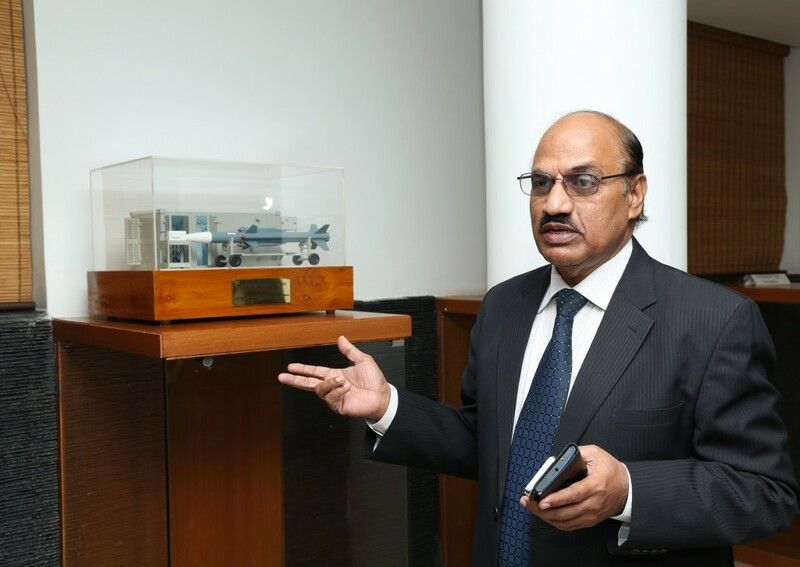 On the day we first flew the aircraft, we signed a contract with HAL for eight prototypes within five minutes of the landing of the aircraft, Dr. Aatre said. We are gathered here at the hub of the aerospace technology in India. The Department of Space has scored great success, having launched 20 satellites. We are building several UAVs. We have built massive electronic warfare systems in DRDO. 30 years back when he built the first fully instrumental ocean going ship in India for marine research, everybody thought that he was foolish to do so, but the ship is still functioning in full steam, Dr. Aatre recollected. We have designed and manufactured some good sub-systems which are hallmarked in the world. Our industries have done extremely well. Manufacturing is growing and India is a sort of destination for many of our manufacturing industry. Ours is an outstanding IT industry. It’s not just a crowd; it’s a brand name, it’s a power house. Our pharmaceutical industries sector is a matter of envy all over the world. Yet do we classify India as a fully industrialised manufacturing country? Not yet. But we are on the right track. The Federal Government is earnestly talking about development, prosperity, Make in India etc. Make in India is not just manufacturing in India, it is designing in India, owing the control of the product, owing the intellectual property of the product. When I launched the first program designing a sonar for nuclear submarine, everything was embargo. I couldn’t even get a proper A to D converter, multipliers, ceramic crystals, but the embargo was used as an opportunity. Several things got done in India when super computers were denied. Today we have an entry into MTCR. It means, those things which are denied to India, either components or devices or systems, today theoretically on paper are opened to India. I only hope you don’t go and stop importing systems because they are easily available to India, developing them is much harder work. I also hope the now the systems are cleared for India, other countries will not stop giving us components and devices without which we cannot build technology. India really doesn’t have an electronic components and devices industry at all. We are totally dependent on imports. We are brain system designers; probably very good system integrators, but we are not components device manufacturers. 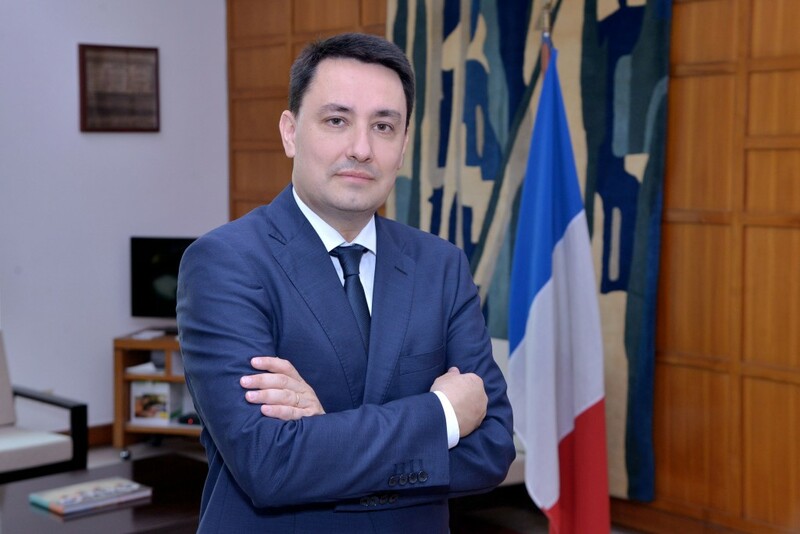 So I hope we don’t say that now everything is opened up, let’s start looking at license production, and transfer of technology – which really doesn’t transfer technology know-how but knows only how to do the production. Changes are afoot in India, no question about that. But the velocity of the changes in India in most of the fields is rather insufficient. We must accelerate the changes. In the present scenario you have to do all the running you can if you want to retain the place you are in, and if you want to reach somewhere else, you have to run at least twice as fast. We don’t have infinite amount of time, we have spent already 70 years not building the kind of an eco-system, or industry scenario that India should and could with the super amount of talent we have. We must accelerate. We must look at what policy changes are necessary. India has a will to survive. Irrespective of what happens to the world in all these economic difficulties, India will not collapse. On the other hand India will never seem to cross the knee of the exponential curve to accelerate the growth. Whereas countries like China and perhaps US have the will power from the will to survival, several steps to will success, will to win, will to productionalise. Besides technological changes, India must change sociologically too. There are lot of things to be done to the societal end. We can only do that if you have enough money in India to distribute equitably to all. We have maximum two decades to do that. If you don’t do that India’s dream of becoming a developed world power will just be that a dream, Dr. Aatre said.